Welcome Butter. She is a Lab/Black Mouth Cur is our guess. She is a 3-year-old 50-pound sweet dog. She is very affectionate and submissive. She has been a great mom to some very cute pups. She is now spayed and ready for her forever home. She was the cutest thing when we took her picture. She was uncertain what was going on so she did the cutest low to the ground walk. It looked like she was avoiding anything airborne. She had a big smile the whole time and was a big goofy sweetheart. She would make a great companion. She is easy to walk on the leash and hold her potty in her kennel. She is good with other dogs and up on her shots. She was pulled out of the shelter right near the border of Mexico. It is very high kill and they let us know they are inundated with dogs and receive 120 dogs as strays every day. This unbelievable number is absolutely terrible so we did our part and pulled some of their dogs. We are now helping them find forever homes. 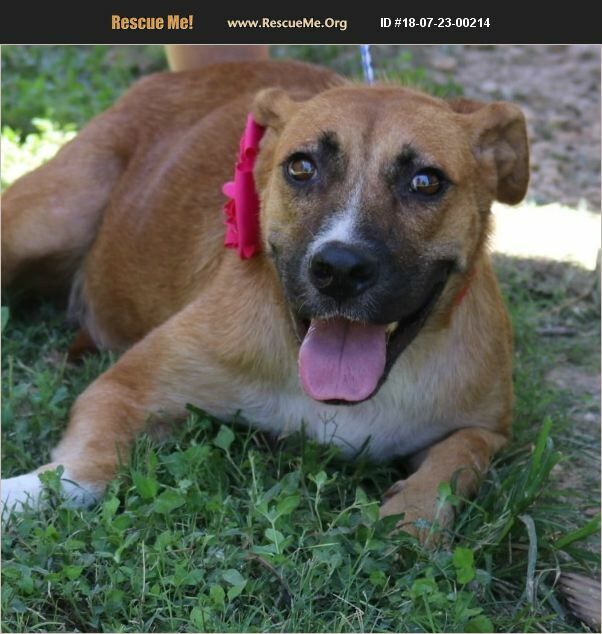 She is in Texas and can be adopted locally or transported to the East or the West Coast. Her adoption fee is 200 and transport is 200. Contact Marlene at 210-867-1769 or email to maudreyh@aol.com for an application. See her cute video! !